Attorney General Jeff Sessions is leaving open the possibility that a special counsel could be appointed to look into Clinton Foundation dealings and an Obama-era uranium deal, the Justice Department said Monday in responding to concerns from Republican lawmakers. In a letter to the House Judiciary Committee, which is holding an oversight hearing Tuesday, the Justice Department said Sessions had directed senior federal prosecutors to "evaluate certain issues" raised by Republican lawmakers. 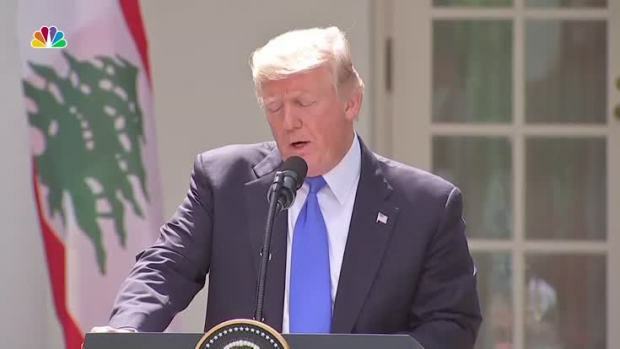 President Donald Trump has also repeatedly called for investigations of Democrats. Sessions told the Republican chairman of the committee that the investigation "will be done without political influence," and told the ranking Democratic member that "the Department of Justice can never be used to retaliate against political opponents." The prosecutors will report to Sessions and Deputy Attorney General Rod Rosenstein and recommend whether any new investigations should be opened, whether any matters currently under investigation require additional resources and whether it might be necessary to appoint a special counsel to oversee a probe, according to the letter sent to Rep. Robert Goodlatte of Virginia, the Judiciary Committee's Republican chairman. President Donald Trump's slipping confidence in Attorney General Jeff Sessions was on full display on Tuesday, after he took the opportunity to double down on his criticism of Sessions' decision to recuse himself from the Russian investigation. The letter from Assistant Attorney General Stephen Boyd did not say what specific steps might be taken by the Justice Department to address the lawmakers' concerns, or whether any of the matters Republicans have seized on might already be under investigation by federal authorities. Sessions did not address those issues in the first hour of the hearing. Any appointment of a new special counsel, particularly in response to calls from members of Congress or from Trump himself, is likely to lead to Democratic complaints about an undue political influence on a department that is supposed to function outside of any partisan sway or demand. Indeed, ranking committee member Rep. John Conyers, D-Mich., asked about several tweets Trump has sent about the Department of Justice. "A president cannot improperly influence an investigation, and I have not been improperly influenced," Sessions said. Trump in recent weeks has repeatedly weighed in on departmental affairs, publicly lamenting that he does not have more direct involvement in its operations and calling for law enforcement scrutiny of Democrat Hillary Clinton, his opponent in the 2016 presidential race, and other Democrats. Attorney General Jeff Sessions testified Nov. 14, 2017, that he has “always told the truth” in his previous testimony about the Trump campaign and its contacts with Russia. He has expressed particular support for investigating the Clinton Foundation and at times has berated his attorney general and suggested his job could be in jeopardy. "Everybody is asking why the Justice Department (and FBI) isn't looking into all of the dishonesty going on with Crooked Hillary & the Dems..." Trump tweeted earlier this month. In apparent anticipation of those concerns, Boyd said in the letter that the Justice Department "will never evaluate any matter except on the facts and the law." "Professionalism, integrity and public confidence in the Department's work is critical for us, and no priority is higher," he added. 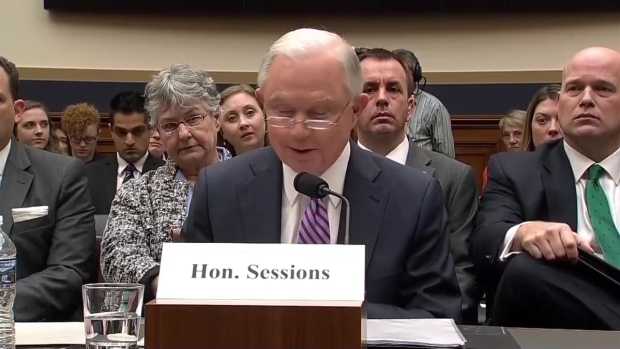 Sessions said at his January confirmation hearing that he would recuse himself from any investigations involving Clinton given his role as a vocal campaign surrogate to Trump. He similarly recused himself from a separate investigation into potential coordination between the Trump campaign and Russia, and in May, the Justice Department appointed former FBI Director Robert Mueller as special counsel to lead that probe. Sessions to Yates in 2015: Would You Stand Up to President? During Sally Quillian Yates' confirmation hearing in 2015, Jeff Sessions asked her if she would say no the the president if required to do so. Yates said she believes that the attorney general "has an obligation to follow the law and the constitution and to give their independent legal advice to the president." House Republicans in recent weeks have launched their own probes into the Obama administration and Clinton's emails. Some lawmakers have specifically said they want to know more about whether President Barack Obama's Justice Department had been investigating the purchase of American uranium mines by a Russian-backed company in 2010. The agreement was reached while Clinton led the State Department and some investors in the company had relationships with former President Bill Clinton and donated large sums to the Clinton Foundation. The letter comes one day before Sessions is to appear before the Judiciary panel for a Justice Department oversight hearing. Democrats on the committee have already signaled that they intend to press Sessions on his knowledge of contacts between Russians and aides to the Trump campaign.